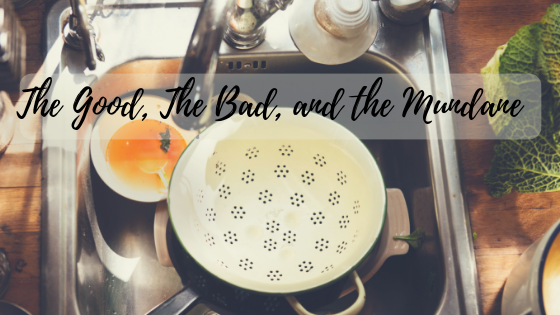 One of the sad parts of full time ministry is the regular bombardment of bad news. Although, I'm rarely the first to know, I often hear stories of failed marriages, battles with cancer, struggles with sin, or even wayward children. Unfortunately, that bad news doesn't contain itself to other countries or even other churches. It's readily available in our own living rooms and church pews. 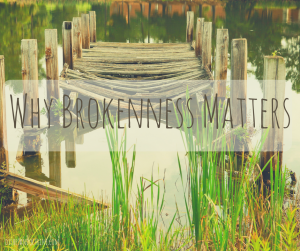 Let's take a look together at why brokenness matters in the life of the believer. From medical diagnoses to adultery, the fractured pieces of our lives bring pain to both ourselves and those around us. It's inevitable. "But all sinners will be destroyed; there will be no future for the wicked"
The first failure in the Garden of Eden had gigantic repercussions. Included in the deception of the snake was a forgetfulness of the long stretching effects of sin. Eve was only thinking about her own opportunity for greatness and Adam was only intrigued by what God might be withholding from them through His "don't eat" rule. Neither comprehended the pain that would be brought upon thousands of generations to come after a simple bite of fruit. I can still smell the musty carpet in the church nursery turned 6th grade classroom. Mrs. Cook had just left the room with a warning to keep our mouths closed and our bodies in our chairs. Usually, the teacher's pet, I didn't initially plan on disobeying, but my best friend really needed to know the plans for our afternoon recess. I spoke a few words as quickly and quietly as possible before our teacher appeared in the doorway. "Who talked while I was gone?" she asked as soon as she returned. About a dozen hands sheepishly lifted into the air which earned them the current classroom consequence. My hand was not one of them. 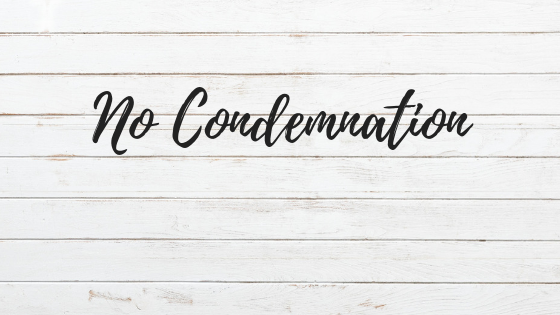 Unfortunately, it wasn't the last time I would experience shame after sin. It attacks us immediately after any failure big or small. It comes after eating one too many brownies to losing your cool with your four year old again. It can even rear its ugly head at unintentional brokenness. We experience guilt at our failure to solve world hunger and our lack of time to bring that new mom a meal. Our shame causes us to hide just like Adam and Eve after their disobedience. 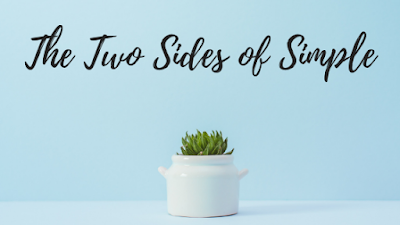 Shame feels terrible so we sew together parts of our personality and lifestyle to cover the true state of our hearts. We act strong and unaffected by our brokenness, hoping that others won't notice. We laugh at our failures while all the time cringing inside at our lack of perfection. We shift the blame to others to minimize our own faults. It won't be found in "Inspirational Books" section of Barnes & Noble and it might not be the verse your friends quote to you when you share your shortcomings and needs at small group, but it is the answer and hope to the brokenness surrounding each one of us. In the middle of verses depicting the desperation of human nature, we find a glorious hope in these few words. Adam and Eve had messed up and were hiding in their shame (as we can so easily relate). The Serpent seemed to have gotten his way and the beautiful life of the Garden was quickly wilting. God gives a glimpse of the future when a Rescuer, a Messiah, would come to bruise Satan's head conquering Him and ending his dominion. Though the corruptions of sin quickly infect humanity, grace is displayed for Adam's and Eve's descendants ("offspring" or "seed"): there is a seed despite Adam's and Eve's sin ; there is a means to relate to God despite sin; there is protection for a murdered despite sin; there is warning of the corruption of sin and at the same time indication of the faithfulness of God to provide the "seed" for sinners. Because of this hope, don't downplay your brokenness. Don't hide behind the facade of independence. Don't wallow in your shame. Instead rest in Jesus' perfection. Hide in His work on your behalf. Rejoice in His victory.